George Cleverley has established his own brand 'George Cleverley' in 1958, at the age of 60. He furthered his reputation to include some of the most illustrious names in London and became known for making the Cleverley shape - a graceful, chisel-toed shoe which became signature to his extraordinary craft. In 1994 they started production of ready to wear collection. In 2010, son of George Glasgow, George Glasgow Jr., became CEO of the company and revived 'Anthony Cleverley' brand. Currently both brands have bespoke and ready to wear collections, which are sold not only in London but in the U.S., Japan, Singapore, and so on. 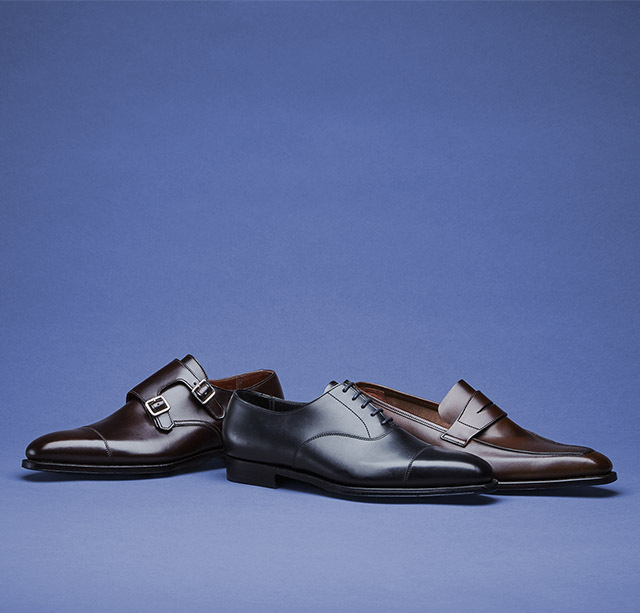 Cleverley shoes embody the technique accumulated as bespoke maker and are loved by celebrities of the world.